Are you successful in implementing your company vision internally and in all markets? Can you react quickly to the changing business requirements? Do you not know whether your key business processes are supported by your IT investments at its best? IF YOU ARE NOT SURE OF THE ANSWERS, YOU SHOULD CONSIDER ENTERPRISE ARCHITECTURE! 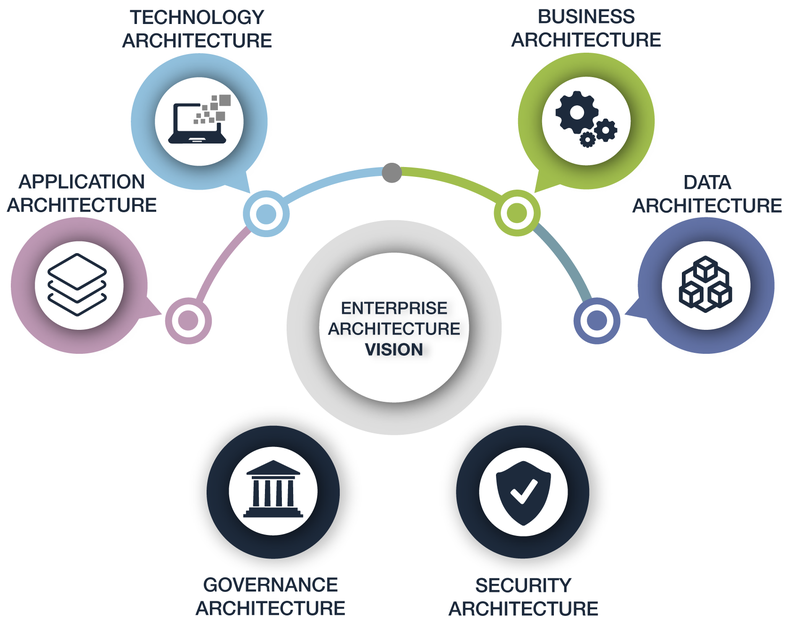 Enterprise Architecture consistently links business processes and strategies with IT applications and data architectures. It is thus a powerful management tool that enables a holistic view of business processes, data, and technologies. This is the only way to make the implementation of the long-term vision of the future tangible and measurable for your company. The focus on a holistic architecture enables you to eliminate redundancies and thus contributes to cost optimization. Westernacher accompanies you in realizing your company vision and supports you in the description of your company architecture. We deliver pragmatic answers – as simple as possible and as complex as necessary – to help you balance business and technology and reach your business goals!